As part of our double header and following on from donation 67 in Lima, donation 68 took us north approximately 2650 miles to Mexico City. 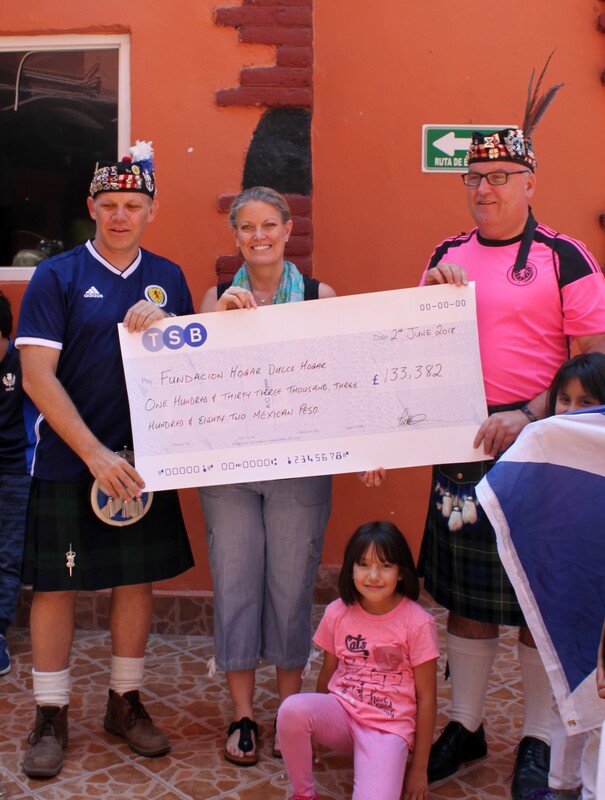 Initially problematic to find a suitable charity that met the Sunshine Appeal’s criteria for a donation, after some extensive ‘googling’ I came across the St Andrews Society of Mexico and through their website, I got in touch with Ewan and Elaine who were able to help identify Fundacion Hogar Dulce Hogar as being a suitable and worthy recipient of our latest donation. Fundacion Hogar Dulce Hogar was founded in 1985. Their mission is to be a safe house for children that are at risk, offering them the possibility of living a childhood with dignity, happiness and love in a secure environment that impels their integral development. The children at the orphanage, aged from birth to 13 years, come from those who are at risk because of abandonment, abuse, extreme poverty, domestic violence or whose parents have addictions or disease that prevent them from caring for them. When I first contacted Amy, who runs the foundation, she quickly identified where the money would be spent. 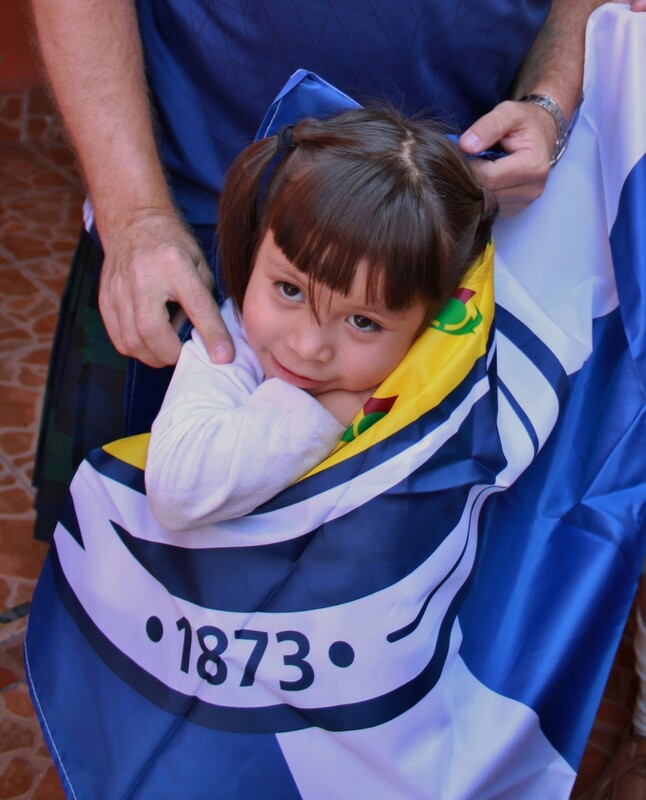 The £5000 donation ( $133,382 Mexican peso) will be used to buy new beds, mattresses and bedding for every child at the orphanage. Amy gave us a tour of the orphanage, explaining how the foundation works, how the various rooms are used and how once they reach a certain age they are split up into separate boys and girls dormitories We were shown a huge library, therapy rooms, play areas, the TV room, kitchen and dining area. It’s a fantastic set up that does so much good not only for the kids in its care but also for the local community. As was the case in Lima, Amy explained to us where the children come from and their backgrounds, some of it is truly heart-breaking and even expecting to hear it, it was still upsetting to hear just how bad things can be for some children. Amy works hard to find homes for the children and many of them have been adopted from the orphanage – her determination that every child deserves the very best is truly inspirational. As was the case in Lima, we had supporters of the Sunshine Appeal attending their first presentation and again their positive feedback about what we do was encouraging to hear. 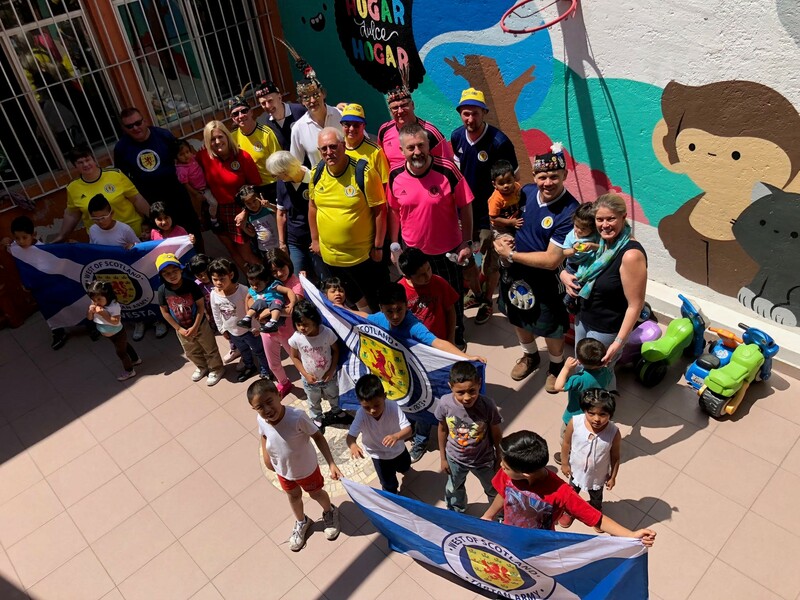 After some time with the kids which of course included a few more pictures, it was time for the presentation to be made and Amy gratefully received our donation on behalf of everyone at Fundacion Hogar Dulce Hogar. A short speech was made by TASA chairman Neil Forbes congratulating Amy on the great work done by her and her staff. Lastly, a special thanks to WESTA for the flags. Fair to say the kids loved them! 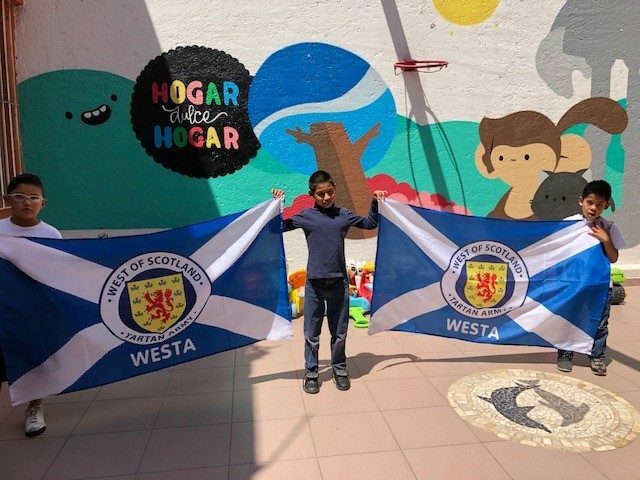 Click here for a report from Fundacion Hogar Dulce Hogar on our visit.